Yooka-Laylee is just a few weeks from release now, and the latest demo featured at GDC demonstrated a great sense of polish. 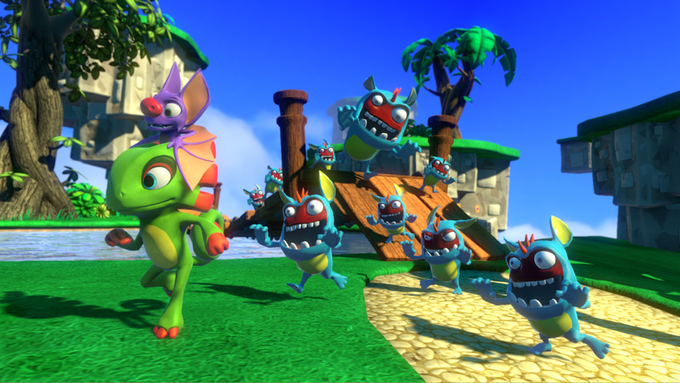 Developed by Playtonic Games, a studio full of Rareware alumni, Yooka-Laylee is a love letter and sort of a spiritual entry to the Banjo-Kazooie games people should remember from the Nintendo 64 days. 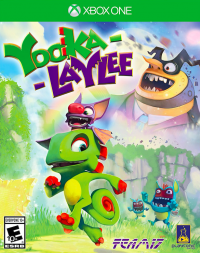 Instead of the iconic bear and bird, the game follows a lizard Yooka and a bat Laylee as they go on an adventure. The level featured at GDC was a cold arctic based level, quite reminiscent of Freezeezy Peak from Banjo-Kazooie, and here I took the opportunity to fully grasp the controls. The controls were actually pretty tight, which was an absolute relief because when I felt that they were too loose on the Toybox released to Kickstarters on Steam. In the Toy Box, I would often run too fast or glide too far, and it was really cumbersome. I didn’t have such an issue with the build I was playing using an Xbox One controller. Going back to the controls, they’re pretty much identical to Banjo-Kazooie and Banjo-Tooie on Rare Replay–both of which I recommend going back to if you want to get yourself prepared for Yooka-Laylee. Mechanics aside, I had a goal of getting at least one golden scroll (Yooka-Laylee‘s version of the golden jiggies) before the 15-minute time limit ended, and I was actually successful. There was a caged scroll next to switch that you have to ground pound, and once you press it, floating rings showed up in the air. By jumping through all of them in succession, the cage opens up, revealing the golden scroll for the taking. Yooka-Laylee is shaping up to be everything a platformer fan wants it to be, and it’ll be ready for release next month.